TRULY, HARDWORK PAYS, SINCE IT ALWAYS HAVE ITS REWARD. The true story of this Nigerian is very inspiring. After spending 13 years in the legal arena of Washington state, his consistency has eventually paid off as an outstanding prosecutor. 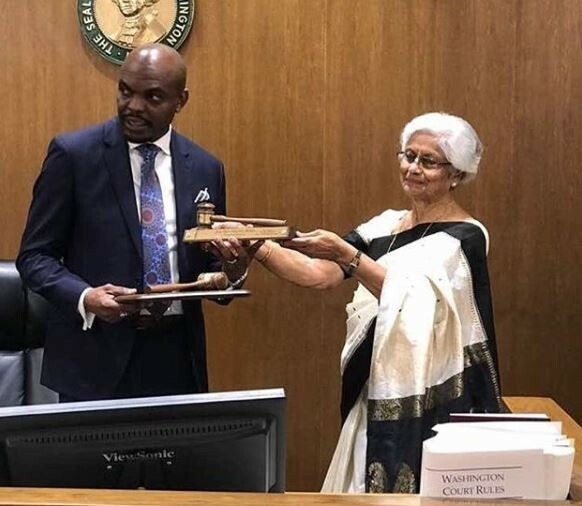 Washington State government has just appointed a Nigerian, EDIRIN OKOLOKO as a Judge. Making this known, Jay Inslee, Governor of Washington State has appointed Okoloko to Snohomish County Superior Court. Okoloko has worked for the past 13 years in the Snohomish County Prosecuting Attorney’s Office, where he is a Deputy Prosecuting Attorney working on homicide, sexual assault, child abuse, and elder abuse cases. Okoloko has successfully prosecuted four murder trials and has been recognised by his office for completing a high volume of jury trials. Before working as a prosecutor, Okoloko served as a judicial law clerk for former Snohomish County Superior Court Judge Michael Downes. 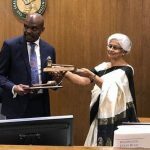 Okoloko, who bagged his Bachelor of Law from the University of Benin in Nigeria and received his law degree from the Seattle University School of Law. He will replace Judge George Bowden who is retiring.